CAPTION: HFC alumnus Timothy Pollack (left) graduated from the Royal Conservatoire of Scotland. 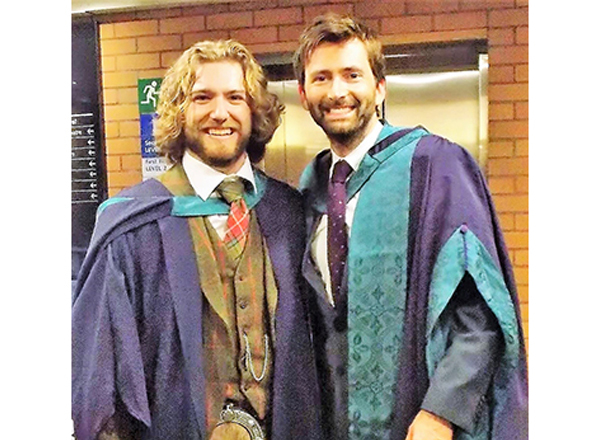 Emmy winner David Tennant (right), one of Pollack's favorite actors, was the commencement speaker. HHFC alumnus Timothy Pollack wanted to teach history. Instead, these days, he's living it. A classically trained Shakespearean actor, graduating from the Royal Conservatoire of Scotland (RCS) – Pollack is as close to the real thing as you can get. “Shakespeare lets me live history. His plays are more than 400 years old. I get to wear period clothing, speak the language of the day, and get into sword fights. Theater is where it is!” Pollack said, giving an enthusiastic thumbs up. Currently, the Wyandotte resident is playing the title role in a 2-hour contemporary dress production of Hamlet Feb. 8-17 at the Kreft Center Black Box Theater at Concordia University in Ann Arbor. The play features several HFC alumni, and is directed by HFC adjunct theater professor Gerard Dzuiblinski. Pollack joins the ranks of many actors throughout the centuries, on the stage or the screen, who have given Hamlet their own spin, including the late Sir Laurence Olivier (Wuthering Heights) – considered one of the greatest actors of all time – Oscar winner Mel Gibson (Braveheart), Oscar nominee Sir Kenneth Branagh (Dead Again), Oscar winner Christopher Walken (The Deer Hunter), Ian Charleson (Chariots of Fire), Oscar nominee Jude Law (The Talented Mr. Ripley), Golden Globe winner Tom Hiddleston (The Avengers), Benedict Cumberbatch (Sherlock), Emmy winner David Tennant (Doctor Who), and many more. Pollack admitted he had some trepidation about taking the lead role, given the caliber of actors who have played Hamlet and the many nuances and layers to the character. In the end, he decided to make Hamlet his own, approaching the scenes in different ways. In one take, he would portray Hamlet as angry; in another take, he would portray him as insane; in a third take, he would portray him as calm. Shakespearean scholars have debated whether Hamlet has an Oedipal complex focused on his mother, Queen Gertrude. Pollack absolutely rejects this school of thought. “I’ve never seen Hamlet that way. I just don’t. He has only one parent, and he seems to be saying, ‘You’re all I have left, and then I’ll be completely alone.’ If anything, he feels he’s been abandoned by both his father, who was murdered, and his mother, who married his father’s murderer,” explained Pollack. Pollack attended Cabrini High School in Allen Park, graduating in 2010. He began acting at Cabrini – he founded its drama club – and continued at HFC. During his time at the College, Pollack played Romeo in Shakespeare’s Romeo and Juliet (directed by Dzuiblinski) and Vince Fontaine in Grease. He also appeared in Sleeping Beauty, where he and fellow actors traded parts throughout its run, playing all the major characters, including Prince Charming. “That allowed us to see the characters from different perspectives,” said Pollack, who also appeared in The Secret Garden and in HFC’s One Act Festival. Alongside fellow HFC alum Samantha York, Pollack co-directed the 2013 production of the Pulitzer Prize-winning drama Ruined. The Kennedy Center’s American College Theatre Festival recognized Dzuiblinski, York, and Pollack for their work on Ruined. All three won a Certificate of Merit. “Tim is an incredibly dedicated actor and theater artist, whose knowledge of acting technique, literature, and history make him a joy to work with,” said Dzuiblinski. Pollack had the opportunity to audition for the RCS, which was one of about 50 schools recruiting at the Palmer House in Chicago. Many of Pollack’s favorite actors went to RCS, including the aforementioned Tennant, Golden Globe nominee James McAvoy (Split), and John Barrowman (Torchwood). At RCS, Pollack learned early that you don’t get the choose your schedule. First thing in the morning, he had to attend body conditioning. There were rehearsals every evening. Pollack appeared in Frankie and Johnny, As You Like It, La Dama Del Alba, and others. He also directed the play BC. “In my three years at the RCS, I only had to write six essays. That was my favorite part,” he said, laughing. Pollack earned his bachelor's degree in acting from the RCS in 2016. Fellow RCS alumnus Tennant – who, in addition to Doctor Who, is also known for his roles in Harry Potter and the Goblet of Fire, Jessica Jones, Broadchurch, and the upcoming Good Omens – was the commencement speaker. Tennant also received an honorary doctorate. Pollack had the opportunity to have a real conversation with Tennant. Pollack has recently returned to his roots. In addition to playing Hamlet, he runs the theater department and is a substitute teacher at Cabrini. At Cabrini, he is wearing two hats on the school’s upcoming production of The Music Man as the artistic director and the director. 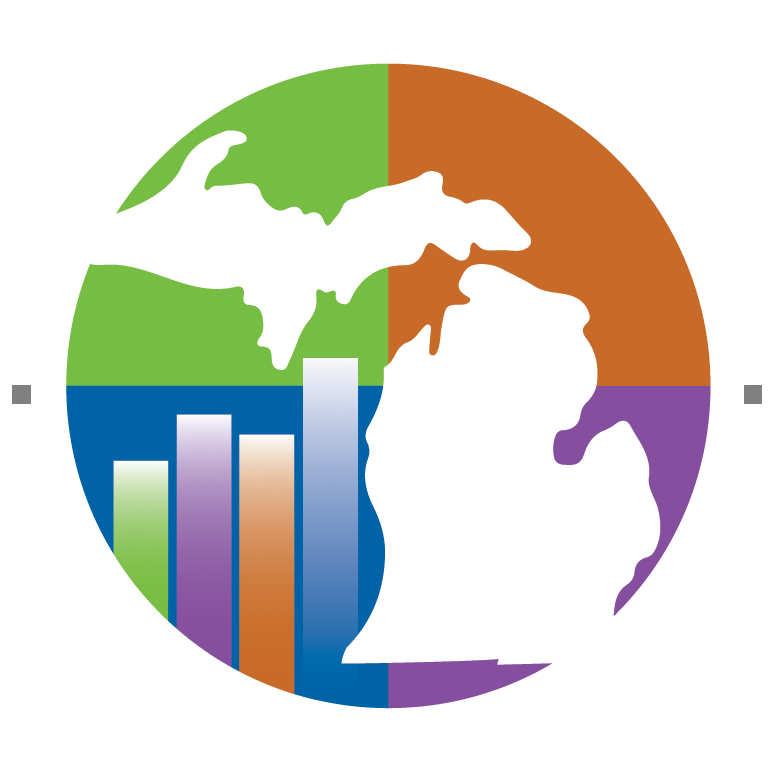 In addition, he teaches stage combat at Arts Detroit in Allen Park and Plymouth. He is also involved with the Enchantment Theatre Company, which is theater for young children. However, his first love is the stage. 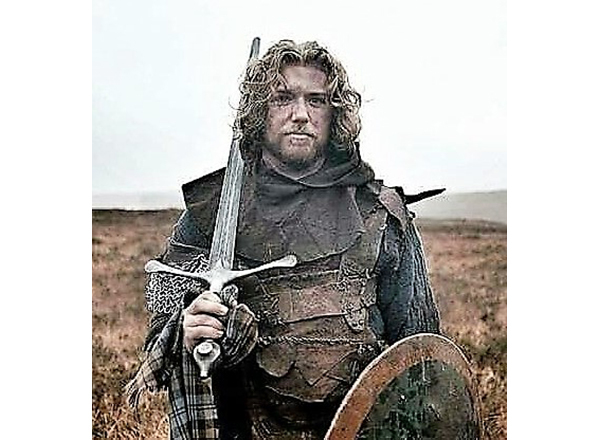 HFC and Royal Conservatoire of Scotland alumnus Timothy Pollack in medieval garb. 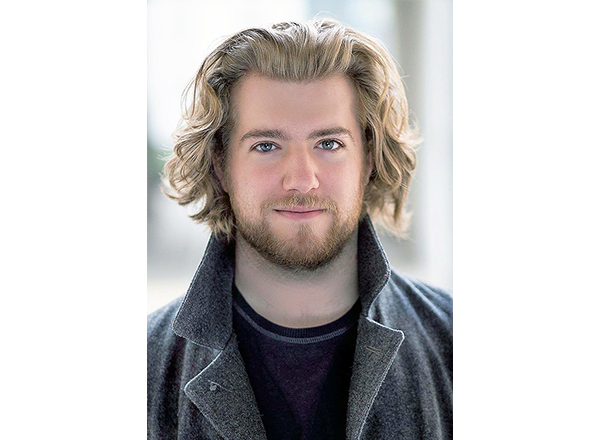 HFC and Royal Conservatoire of Scotland alumnus Timothy Pollack currently plays the title role in "Hamlet."